This entry was posted in Literature, Reflection and tagged Authors, Obituaries, Techno-Thriller, The Hunt for Red October, Tom Clancy by Rites of Patches. Bookmark the permalink. You should take it as the highest of compliments that my dad’s bookshelf looks remarkably similar. It is the image I thought of when I heard this morning that Clancy died. There, Mr Clancy is neighbored by Stephen Ambrose and Taylor Branch. A decent company to keep, in no small part because he’s the only fiction pen-man in that particular peanut gallery, I think you’ll agree. He is a fixture in contemporary American literature; while an American Classic writer he is likely not, a legendary novelist of exemplary prolificacy he most certainly is. I don’t think much about death either, not when I worked quite near it, not when the life expectancy of the place I’m in now is a decade and a half younger than Clancy was, at his young age. Weird that we don’t think so much about the only thing that absolutely makes common our trajectories. I imagine this morning was for you what it will be for me when, assuming a certain chronology of things, the world loses one E.O. Wilson or would’ve been had I found Jack Gilbert prehumously. I only read Rainbow Six, which is to say I didn’t really read any of Clancy’s work. But I know what it is to have an author change you, to teach you to love to do something – like read – and then, as you reflect on it further, realize they may have taught you to do that thing all over again, anew. T.S. Eliot may have something to say about that. I like to know this about you, and would also submit that people start affecting people – be it Wilson or Gilbert or Clancy – when they start stowing their aspirations in others, and caring about how their handled. I’d say your greatest goal is well protected. I barely know your dad, but I know him well enough to take that as the compliment it is. Beautiful comment, Erik. Sounds like you and I are in the same boat. 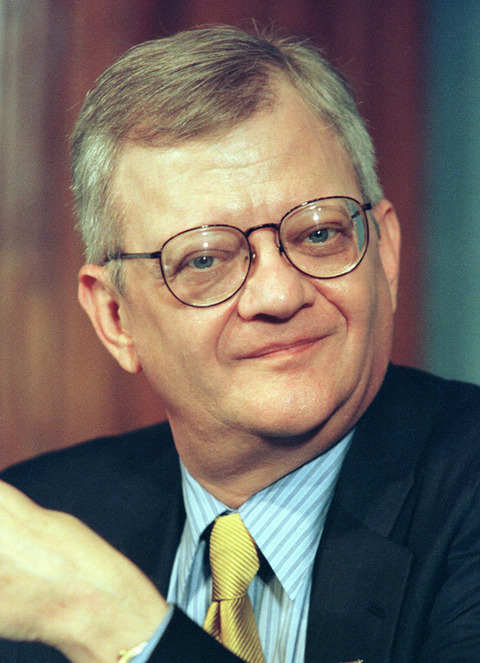 Great admirers that will miss this author and his contributions. Great Post and I echo everything you said. Nice remembrance, guy. I own many of the above novels by Mr. Clancy as well, though I must admit, I’ve read only a few of them. I bought a bunch of used paperbacks on the cheap one summer when I thought I’d try to go through Clancy’s novelistic oeuvre. I never started. My introduction to Clancy was through the film Clear and Present Danger, then The Hunt for Red October, then Patriot Games. I eventually read all three of those novels, starting with Red October and I also read Rainbow Six, because it sounded pretty cool and there was an awesome looking game based on it. 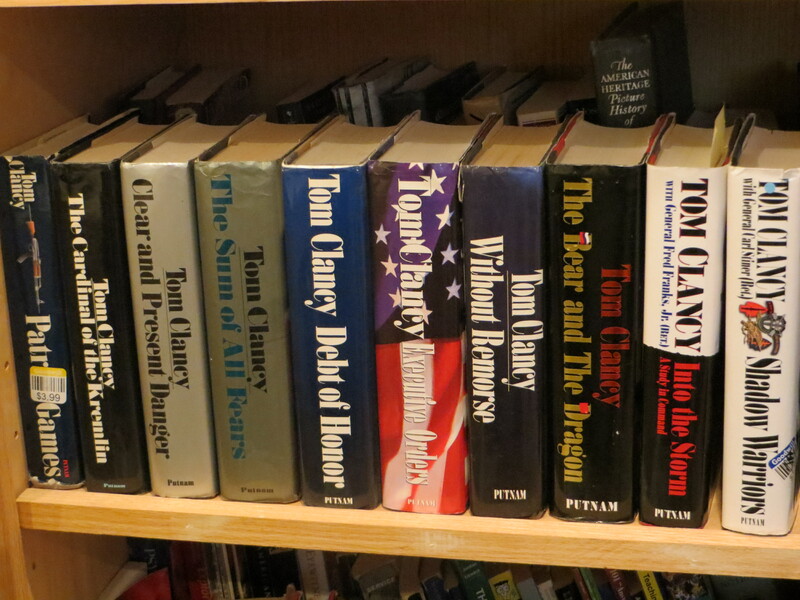 Apart from tackling those four (Red October at least twice), my major connection with Clancy was through his Op-Center series (something I should probably be ashamed of because the books are actually written by Jeff Rovin). I read the first 8 (or 9? or 10?) of those, but I feel like I outgrew them, or my tastes just changed. I don’t know if I’ll ever go back to read any of his novels. Maybe when I’m someone’s dad and too-appropriate for me to be reading Clancy. I only made it through the first 4 Op-Centers. I ran out of access to the rest, and never finished. I also have the TV-movie on my computer. Harry Hamlin! Clancy is a pretty stereotypically “dad” author, isn’t he? Do it!